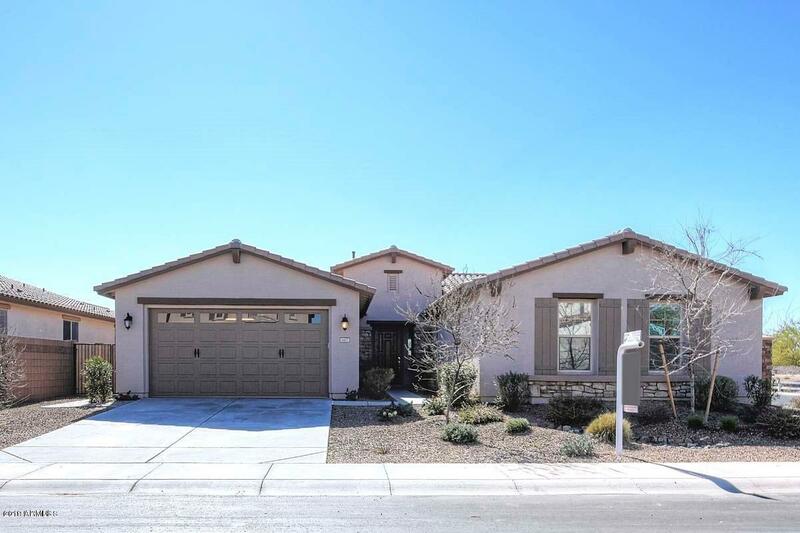 All FREEMAN FARMS homes currently listed for sale in Gilbert as of 04/19/2019 are shown below. You can change the search criteria at any time by pressing the 'Change Search' button below. "MODEL SHARP, SIX BEDROOMS AND FOUR BATHS (BEDROOM AND FULL BATH DOWNSTAIRS) PAVERED COURTYARD TO FRONT ENTRY WITH DRAMATIC FOYER,FORMAL LIVING, FORMAL DINING (W/DOUBLE DOOR TO PATIO) KITCHEN HAS LOTS OF DARKWOOD CABINETS, LARGE ISLAND, GRANITE COUNTERS, STAINLESS APPL AND A LG W/I PANTRY, HUGE FAMILY ROOM, 20 INCH TILE, PLANTATION SHUTTERS, UPSTAIR LOFT ROOM, WOOD AND WROUGHT IRON STAIR RAIL, MASTER SUITE HAS SEP SHWT/TUB, DUAL SINKS AND LARGE W/I CLOSET,NEW CARPET DOWNSTAIRS, FRESH INTERIOR PA"
"UPGRADES! UPGRADES! 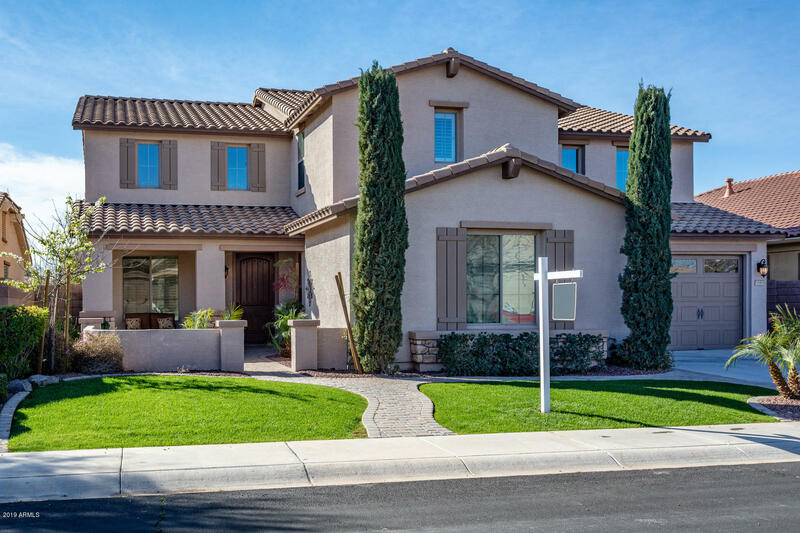 Welcome to the Master Planned Community of Freeman Farms by Arizona's Premiere Builder Fulton Homes! This Home of 2,881 Sq. Ft. is Located on a Premium North/South Facing Backyard CORNER Lot w/no Two-Story Homes to the Side or Behind! Other UPGRADES Include: Huge Master Suite, Gourmet Kitchen w/Granite Counters, Large Island & Gas Range!! Oversized Secondary Bedrooms, Massive ''L'' Shaped Master Closet, Tandem 3-Car Garage, Water Softener, & Beautiful Espresso Staggered Cabi"